Do you want to avoid the crowd on Valentine's Day? Are you planning a pre-Valentine's date? 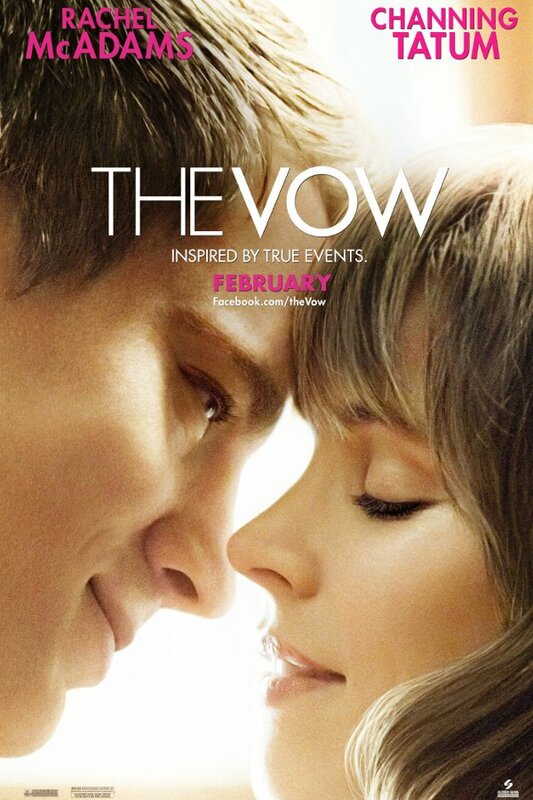 If you answered yes to any of these questions, I am inviting you to join Zoya Manila and Carmex Philippines as they treat you to the advance screening of The Vow this Sunday, February 12, 2012 at 4:00pm in Cinema 1 of Power Plant Mall. Leo (Channing Tatum) and Paige (Rachel McAdams) are newly weds. After a car accident, Paige goes to a coma. She wakes up with severe memory loss. Her husband, Leo will now have to try to win her heart all over again. How far would you go for the one you love? The 5 most creative answers will win a ticket to the advance screening. Use the comment section to answer the question. Deadline for submitting an answer is today, February 09 on or before 12nn. Winners will be announced here by 1pm on the same day. I will be updating this blog post for this purpose. Winners will be informed via email and must reply on or before 11:59pm tonight, February 08, 2012. All winners will be required to post a shout out on their Facebook wall, tagging ZoyaManila and CarmexPh. Please reply to my email with a link to your shout out to confirm your win. Make sure you like their pages to be able to tag them properly. Participants should be able to claim their tickets in the following areas: Greenhills or SM Mall of Asia on February 10-11, 2012. Late pick-up is available on the screening date from 2:00-3:00pm in Power Plant Mall. This giveaway is limited to Philippine residents, who can watch the movie at the set venue. UPDATED deadline to 12nn of February 09, 2012. Winners will be announced an hour after on the same day. Apology is in order. I was not able to post this giveaway sooner.